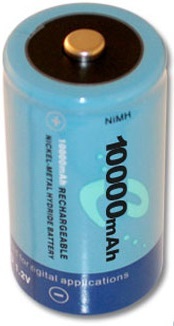 cells, forming a 4.8v supply. I designed a new control circuit, which used a variable resistor containing a switch. When rotated fully counter-clockwise, the switch would click, turning off the LED. When rotated fully clockwise, the light would be at full power. I set the LED current control range from a low 1ma to a full 400ma setting. The low setting would be great for a night light feature for inside a camping tent. 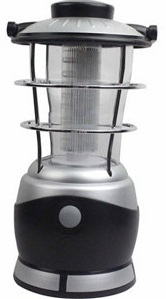 When fully charged the lantern’s battery should operate the LEDs for 24 hours at full power and a year at the lowest power setting. The circuit I used is shown below.